Under the law from the Old Covenant, a temporary covering of forgiveness was provided to the Jews based upon certain conditions. 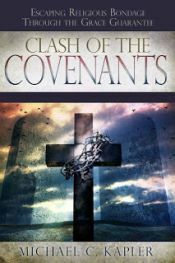 In the New Covenant, we now have the revelation that forgiveness from God came unconditionally through the blood of Jesus Christ. God took away the sins of the world and declared He would remember them no more. We recommend resting in Christ’s finished work, rather than going back to an Old Covenant mindset that will put the responsibility upon you instead of Jesus. The Lord was showing His disciples they needed to pray for God’s Kingdom to come and His will to be done (the cross), because they were in a hopeless situation in having to depend on their ability instead of God’s. 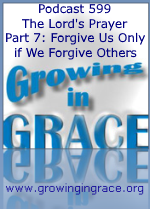 In the New Covenant, we forgive because we’re forgiven, not to get forgiveness. Finally, it’s important to recognize that not a single apostle from the New Testament instructed or encouraged believers to pray this prayer… Because Jesus already fulfilled what the prayer was seeking. It was given to His disciples to pray prior to the cross.